Malta is a Mediterranean archipelago located south of Sicily (almost 100km) and almost 300km north of African coast. Only three main islands are permanently inhibited (Malta, Gozo, Comino). Not forget to mention some uninhabited islands – St. Paul’s island or Cominotto. The whole group of islands is over three hundreds square kilometers in area. 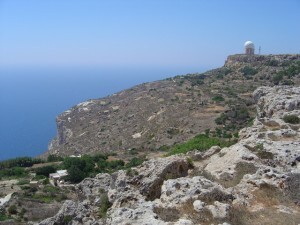 The highest point could be found on Malta island and it is called Ta’ Zuta (253m). Scattered coastline (130km) gives great opportunities for various harbors. The largest and main island (Malta Island) is easily to travel by bus in few hours. Its old capital was Mdina, today it is Valletta. Malta has unfortunately very poor fresh water resources. That leads to reliance on desalination etc. The capital of Malta is also political and social center. It is also a famous and historical city full of sights. Local narrow streets have their amazing atmosphere and you can buy nice souvenirs if walk them through. You can find more about this marvelous city here. Also known as The Silent City, this small town is special because of its great historical atmosphere and many sights. It used to be the capital of Malta. It is definitely worth seeing. Rather smaller town located on the bus line between Valletta and St. Julian’s. There are great shopping opportunities and nice rocky beach clubs. Nightlife of this awesome town by the sea will get you. You should not miss a night there. Vittoriosa, Senglea and Cospicua. These are ancient and historic cities. Visit them to have a clue about original life in Malta.